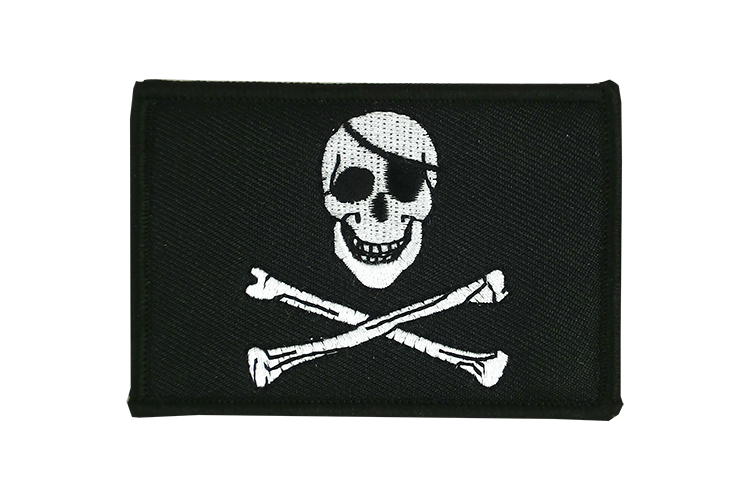 Pirate Skull and Bones flag embroidered patch in size 60x80 mm may be sewn or ironed on. The patch is coated with a special adhesive that melts when heat is applied and thereby sticks well to fabrics. Simply place the patch in the desired position, place a sheet of paper over it and iron it. 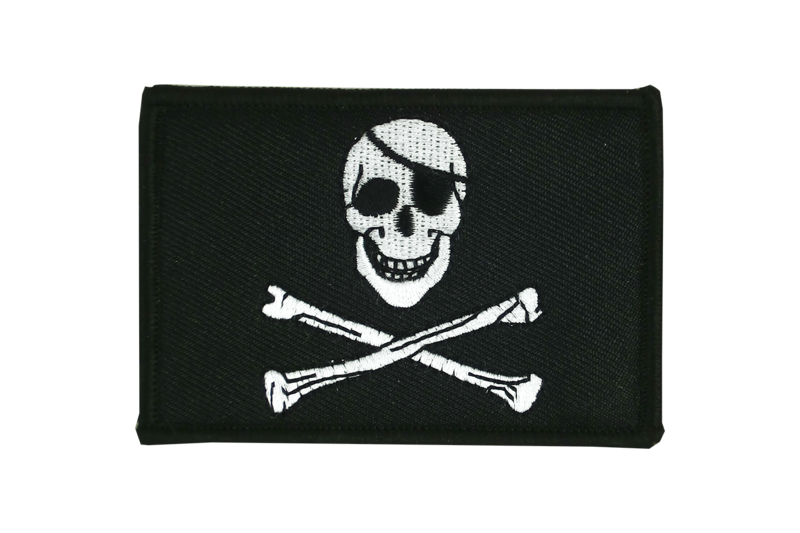 Buy Pirate Skull and Bones flag patch online. Here you can find all sizes and designs of our Pirate Skull and Bones flags for sale.